Norte Maar’s Dance at Socrates returns for its 6th season bringing dancemakers and their companies to a main stage set on the East River waterfront. Internationally recognized for its large-scale sculpture and multi-media installations, Socrates partners with Norte Maar, renowned for their cross-disciplinary collaborative projects, to present this choreographic residency in the Park dedicated to the creation and presentation of dance. 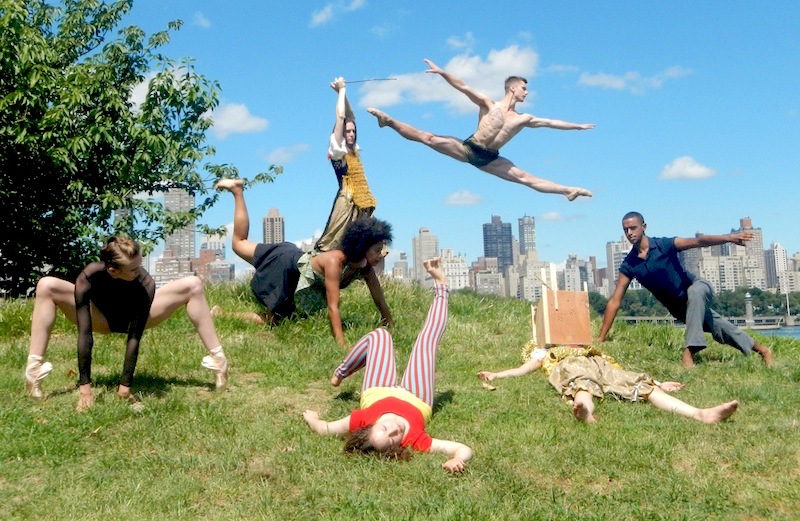 “Because dance is, in many ways human sculpture in motion, it’s very much at home in Socrates Sculpture Park.” – The New York Times. For the full Dance at Socrates program click here. MOVEMENT MIGRATION is a collective of seasoned dance artists collaborating to create and perform dynamic and poignant dance works that portray the depths of the human experience; the dances are shared with audiences locally and globally in performance and educational venues. Directed by Kim Jones, the ensemble’s members are steeped in the celebrated traditions of classical ballet and modern dance, each having achieved professional expertise in distinct technical training and performance disciplines. The group members come from many places in the world and span four decades in age. From these varied backgrounds, the artists bring their passions, freedom, and inexplicable beauty of expression. “Migration” signals the transformation and convergence of technical training and individual approaches into a collective creativity that traverses cultural boundaries and transfers movement knowledge from person to person and community to community. JANICE ROSARIO is a NYC-based dancer; choreographer. A native of Upper Manhattan, Janice studied on scholarship at Ballet Hispánico, Ballet Academy East, Boston Ballet, and The Ailey School. She is a graduate of F.H. LaGuardia High School for the Performing Arts and a 2015 alumna of Hunter College, where she majored in Dance. The year of her graduation from Hunter, Janice was awarded numerous choreographic commissions including: her full-length concert debut over two nights presented by The Moving Beauty Series for which she was awarded a solo commission; March 2015, her international choreographic debut at the Tobago Contemporary Dance Festival; March 2015, Chen Dance Center’s Newsteps commission; May 2015, and an invitation from David Parker to present a four night solo concert at the West End Theater; September 2015. Additionally, her new works have been presented and commissioned by CounterPointe; April 2016, Triskelion Arts’ Split Bill Series; December 2016, La MaMa Moves! Dance Festival; May 2017, Dance at Socrates; August 2017, Fast Forward Split Bill Series; September 2017 and the EstroGenius Festival; March 2018. In Fall 2017, Janice completed her residencies at Columbia University and Hunter College. She debuted her new work at Fiorello H. LaGuardia High School for the Performing Arts’ 2018 Graduation Dance Concert in June 2018. This summer she will be creating a new work for the Dance Institute of Washington and in the fall for The Alvin Ailey/Fordham BFA Program and the Snug Harbor Cultural Center. In addition to her choreographic endeavors, Janice has taught master classes at F.H. LaGuardia High School for the Performing Arts, Hunter College, Harvard University, High Tech High School, the American Youth Dance Theater and at the Contemporary Dance Festival in Tobago. She also served as a guest artist for the Archcore40 2016 Summer Dance Intensive. She will be guest teaching at Sacred Heart University this summer. 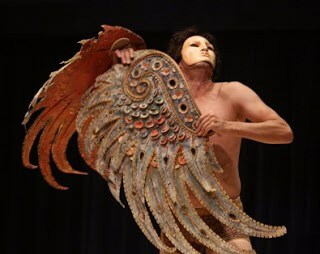 CARLOS FITTANTE, Artistic Director of BALAM Dance Theatre, specializes in Baroque, Balinese, and Spanish escuela boleradances and works as a choreographer, dancer, and teacher. Known for spirited, elegant choreography and performances, he has received praise from The New York Times, The Wall Street Journal, The Village Voice, and Dance Magazine. He has performed throughout the United Stated and internationally with the Boston Early Music Festival, Lincoln Center Out-of-Doors, Jacob’s Pillow Dance Festival, 2nd Encuentro de Baile Contemporáneo in Mexico, and the International Arts Festival in Bali. A teacher and movement coach, his customized choreographies serve diverse communities at the grass-roots level. A graduate of the School of American Ballet, he holds a Master of Fine Arts in Dance from the University of Wisconsin, and is an Adjunct Assistant Professor at Queens College: City University of New York.